Spritzing on your scent is so 2018. These days, daring fashionistas much prefer to paint their fragrance onto the ultimate canvas - their skin. 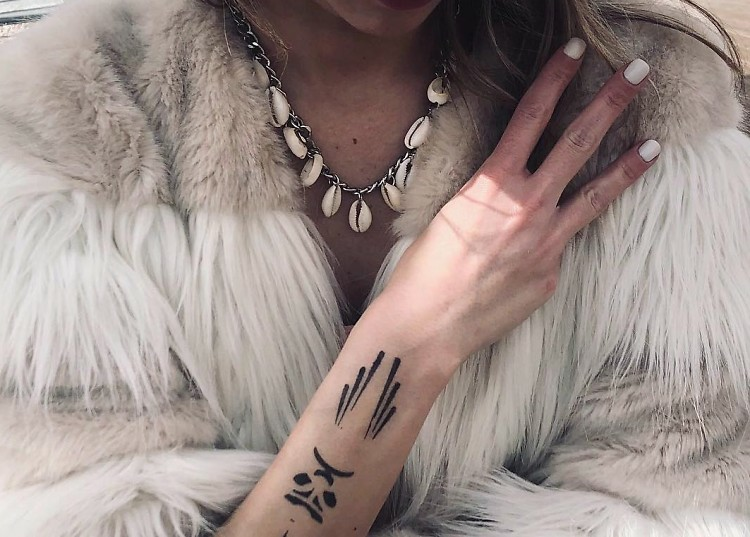 A fusion of funky body art and fine fragrance, Amkiri is the world's first "visual fragrance," serving as a less painful, less permanent, and better-smelling alternative to traditional tattooing. Not to mention a creative way to instantly upgrade your look. 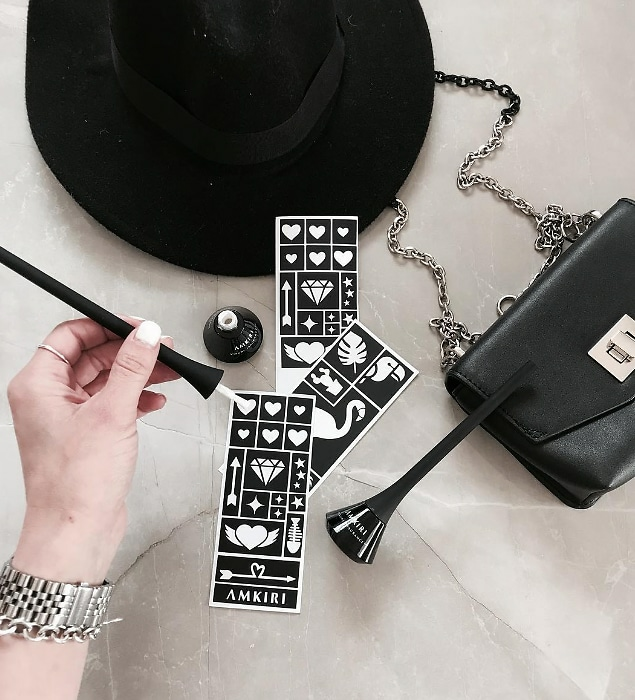 Founder Shoval Shavit Shapiro perfected Amkiri's first of its kind formula after years of exploring forms of visual expression. Finally, she teamed up with her mother, who happens to be a chemist and cosmetics expert, to develop a way to make the invisible, visible. Utilizing patented, scent-infused ink, the multisensory beauty innovation is hypoallergenic, vegan, cruelty-free, and water-resistant, meaning you can put it just about anywhere on your bod (wink wink). Paint on various designs using Amkiri's stencil sets, or opt for the Freehand Wand if you trust your own DIY artistry. As for the original scent? A sensual, unisex spearmint with spicy undertones of ginger oil and juniper berry, along with hints of musk and cedar wood, lasting just as long as the ink is on your skin. You'll definitely want to keep Amkiri in mind for festival season; through all that dancing and sweating under the sun, you'll stay looking and smelling great.